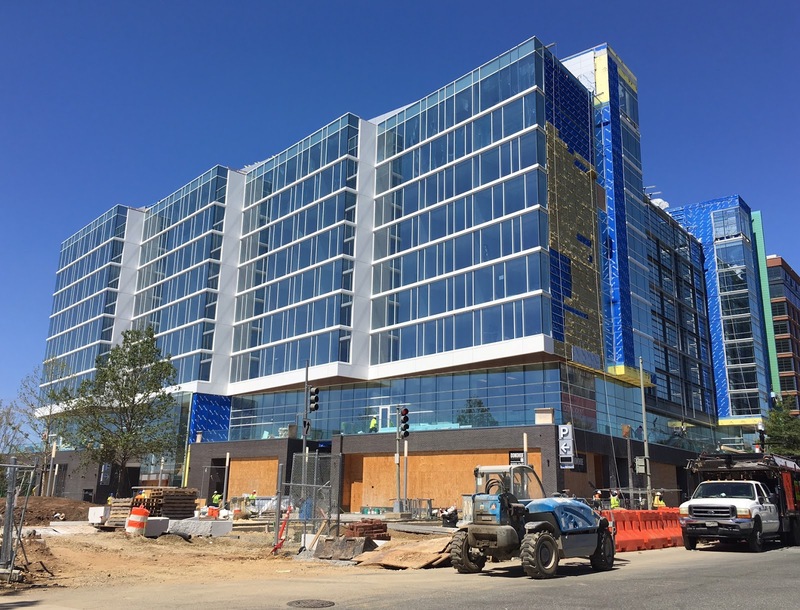 A PUD for a mixed-use residential project was filed earlier this summer on a parcel at 1st and Q streets, one block north of Audi Field in Buzzard Point. Currently, the site contains a one-story retail building and a parking lot. 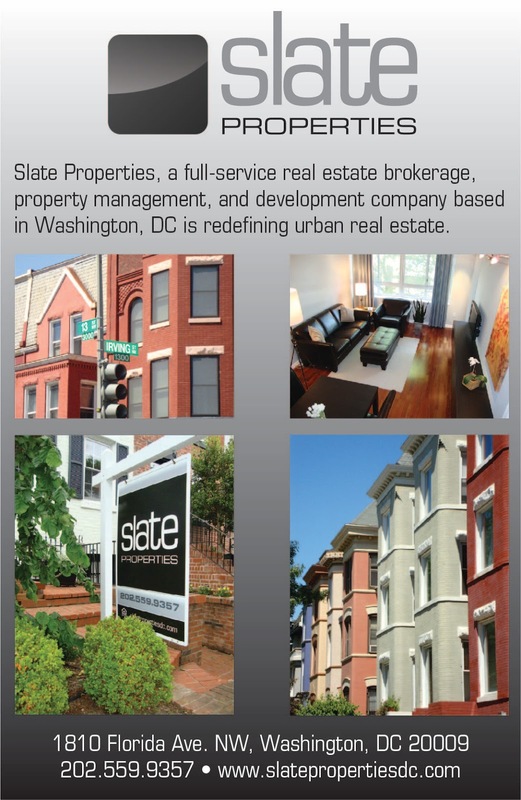 A total of 76 rental units are planned, with a mix of 1BR, 2BR, and 4BR units. The residential entrance will be located along Q Street. About 3,800 square feet on the ground floor will be set aside for retail with entrances along 1st Street. A Capital Bikeshare station will also be placed on 1st Street. What makes this different than the other residential buildings that have been built in Southwest over the past several years is that the entire building will be set aside as affordable housing. 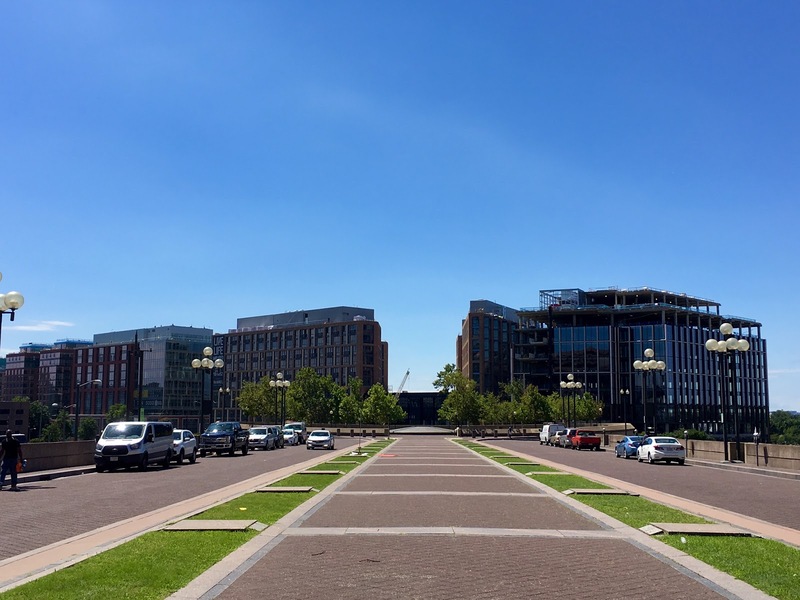 Of the 76 units planned at the development, 16 will be reserved for residents earning up to 30% of AMI and the remaining 60 units will be set aside for residents earning up to 50% of AMI. There will be limited space for amenities – about 940 square feet of residential amenity space will be available, as well as a landscaped courtyard on the ground floor. However, residents in the building will have access to on-site wrap-around services provided by the United Planning Organizations, such as case management. Off-site services to be provided include mental health, addiction treatment, childcare, job readiness programs, job training, and adult education. A new design for the replacement Frederick Douglass Memorial Bridge which brings South Capitol Street across the Anacostia River was revealed yesterday at a press event with Mayor Bowser, DC Delegate Eleanor Holmes Norton, and other dignitaries. 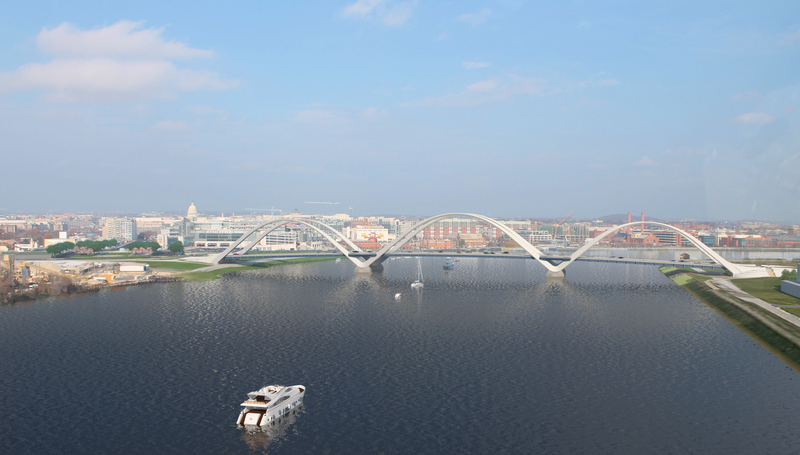 The new design is a departure from the previous version that looked more traditional and swung open to allow large boats to traverse the Anacostia. Since the display ship U.S.S. Barry that was docked at the Navy Yard was dismantled and moved, there was no longer a need to have a swing span bridge so the design was updated. 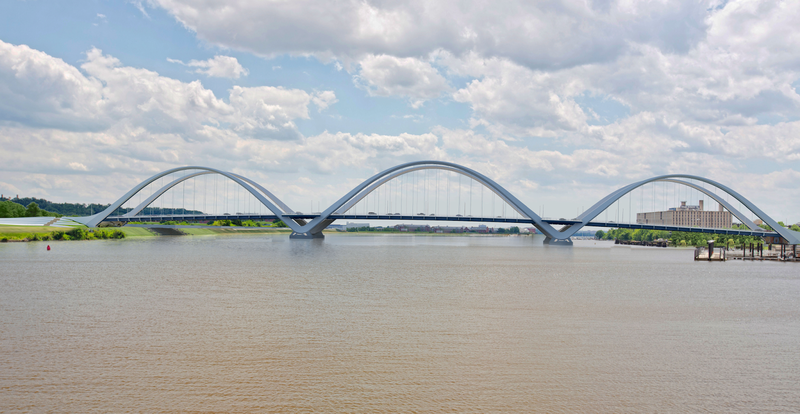 According to a press release, the new bridge design includes three above-deck arches that capture the District’s arch history, two piers that will appear to float in the river, and four pedestrian overlooks. The new bridge will carry six lanes of vehicular traffic (three on each side), as well as bike and pedestrian lanes on each side of the bridge. 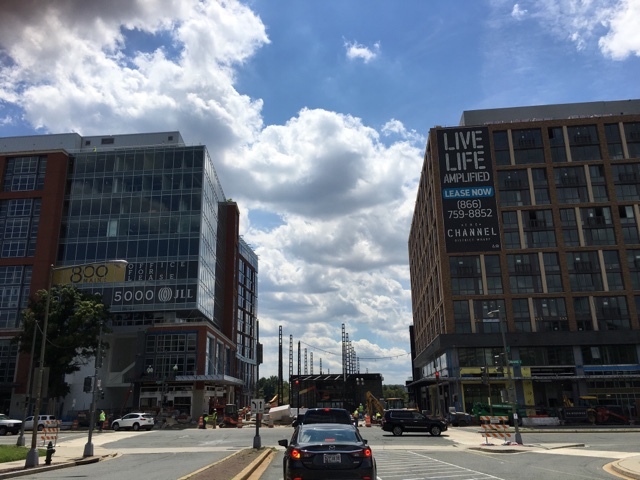 In addition to the new bridge, traffic ovals will be built on both sides of the bridge – the oval on the west side of the river will connect South Capitol Street with Potomac Avenue and Q Street. The bridge project is part of the South Capitol Street Corridor Project, a two-phase project that will eventually include additional improvements to South Capitol Street and adjacent streets on both sides of the river. On the west side of the river, improvements in phase II will reach all the way to the intersection with the Southwest freeway. Construction on the first phase will begin in late 2017 and will run through 2021. More images and an animated video showing the bridge project can be found on the project website. Among those already scheduled to appear this fall are MSNBC host Chris Matthews, Jordanian-Filipina American writer and editor Malu Halasa, national security affairs specialist Mark Perry and cat behaviorist Jackson Galaxy. 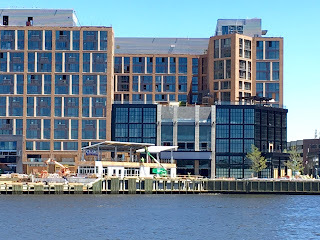 The grand opening for Politics and Prose is scheduled for October 12, the same day as the bulk of Phase 1 of District Wharf will make its debut. Over in Buzzard Point, progress is being made at Audi Field (the new home of D.C. United) at 2nd and R streets and construction of a Pepco substation across R Street from the stadium site. The former is scheduled to open in June 2018 while the latter is much further along. Groundbreaking for Audi Field occurred back in February, but environmental remediation started months prior. At the July ANC meeting, Victor Melara from D.C. United stated that most of the environmental remediation was complete - just one area was left to finish. Precast seating bowl installation along the west side of the stadium was supposed to start in late July. Site utility installation was also expected to start in late July. On the south side of the stadium, basement excavation is complete and grade beams are being installed. The Pepco Waterfront substation project includes the substation structure, transmission lines, and the installation of duct banks. The substation structure is nearly complete, but electrical work still needs to be completed. Duct banks north and west of the substation also need to be installed. Pepco is partnering with the DC Commission of the Arts and Humanities to bring artwork worth $250,000 to the planned plaza on the south side of the substation at 1st and R streets near Audi Field. A sculpture designed by local artists David and Eli Hess called Flash Point will be located in the plaza. An additional $100,000 will be spent to adorn portions of the exterior of the substation with a light installation from local artists. East aerial view of Audi Field. Pepco substation at 1st & Q streets. 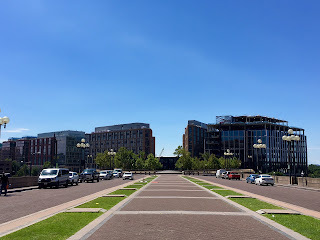 VIO, Canopy by Hilton and Hyatt House hotels. A sliver of Incanto apartments, 800 Maine, and The Channel. A portion of The Channel apartments, which has over 500 units. View of 800 Maine, District Square, & The Channel apartments. 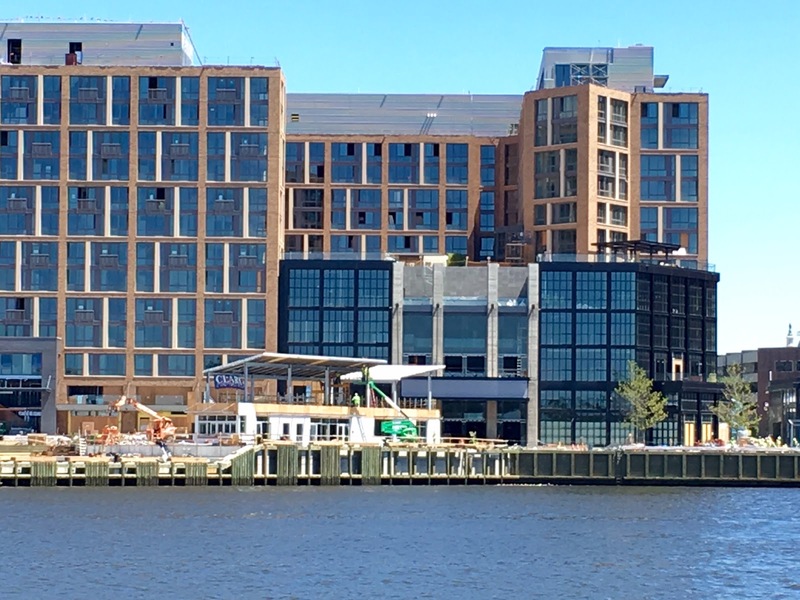 A view of the first phase of District Wharf from 10th Street.